The Beatles Song of the Day is Hey Bulldog. Hey Bulldog was one of four new Beatles songs to appear on the Yellow Submarine soundtrack. Hey Bulldog was written by John Lennon. Hey Bulldog is one of The Beatles hidden gems- a song that was never released as a single, didn’t get much attention at the time of release but a song whose reputation has grown over the past 50 years. This was the last song The Beatles recorded in 1968 before they went on their trip to India. 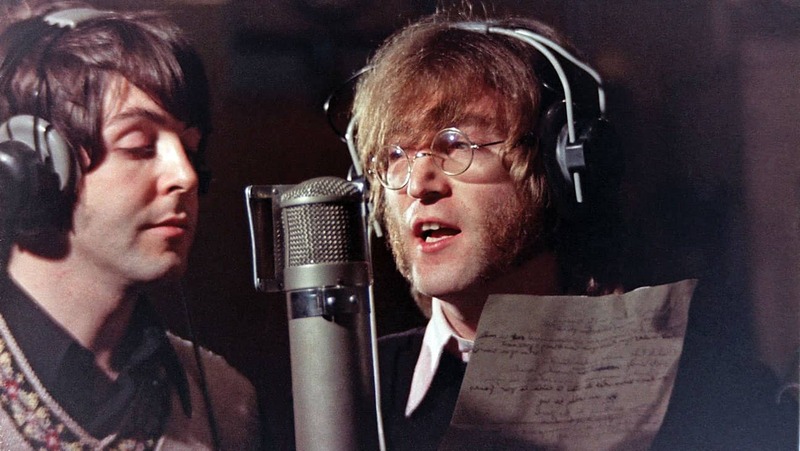 The Beatles were in the studio making a promotional film for Lady Madonna and since they had the studio time Paul suggested to John that he write a song- John had been working on this at home-they worked on the lyrics- John went over how the song went and they recorded it all in less than a day. The original song went “Hey Bullfrog”but when Paul barked at the end of the song they both found that funny and change it from Hey Bullfrog to Hey Bulldog. Another change from the original the line “measured out in you’ was written as ‘measured out in news” but Paul misread John’s handwriting and they both agreed that ‘measured out in you’ was the better line.John would campaign for Hey Bulldog as the A side of the Lady Madonna single- as much as I like Hey Bulldog- Lady Madonna was the correct choice. This was the first Beatles recording session attended by Yoko Ono. John Lennon: double-tracked vocal. piano, guitar, talking: Paul McCartney: harmony vocal, bass, tambourine, barks, talking. George Harrison: lead guitar: Ringo Starr: drums, spoken word. Produced by George Martin. rating of Hey Bulldog ***** stars out of 5 stars- a classic. Hey Bulldog was never released as a single. Recorded on February 11, 1968. Hey Bulldog was ranked #72 in Spignesi and Lewis’s book, Rolling Stone ranked it #82 in their top 100, Critic Bill Wyman had it #89 out of 213 Beatles songs, The Beatles Channel’s listeners poll had it ranked #13 and Jim Beviglia had it ranked #84 in his book. This song never ages… I saw a clip of David Grohl doing this song really well. I saw that too- the Grohl version- one of those songs that didn’t get much attention- but is now. It has a modern feel to it…its a lot of fun. Always liked this one. It’s a jumpin’ rock song with great guitar and bass.